Rubenerd: #Anime Toradora getting Blu-Ray and an OVA! 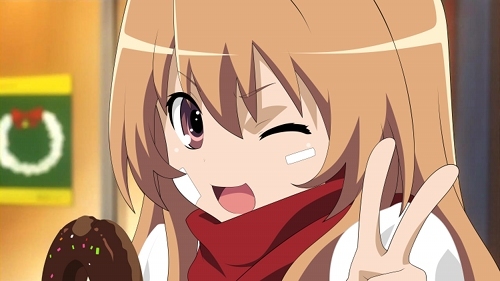 #Anime Toradora getting Blu-Ray and an OVA! The Blu-ray box set of the whole TV Anime of Toradora! will be released on December 21st, with an unaired new episode (OVA). From The Akiba, via Vadim on Google+. One of my favourite series of all time, I'm unashamed ^_^.